How many of you have seen the movie Rocky? Were you motivated? Did it make you feel good? Would you have been as motivated if there was no music? Music plays a big part in our lives. Relaxing, Soothing, Motivating, Energizing. It reminds you of the good times, good friends, and beautiful places. It comes in all forms, from classical to hip-hop to electronic, and effects each of us in different ways. Any time a new community or neighborhood is about to be announced there is a lot of new information to digest and share with your potential buyers. Let’s be reasonable. You can’t learn everything overnight and even if you did, you wouldn’t have the time to formulate the information in to a concise and meaningful presentation. That leaves us with our Music! People will buy your music before your words. What they are really listening to is your excitement, your belief, and your conviction level. And this is true whether you are at the beginning or end of a project. Whether you are a hostess, secretary, sales professional, design coordinator, receptionist, or manager. It’s your unique brand of enthusiasm. It’s a burning desire from within that people want to be a part of. When you walk into a room you either brighten it or dim it. If you brighten the room, that’s part of this desire that is burning within you. People see it. They want to be a part of it. People are looking for someone to believe in… someone that believes in them. It comes down to just becoming aware. Keep your awareness level up and be aware of the energy you are portraying. I can’t emphasize this enough. Successful people are defined by their music, by their energy, and by the enthusiasm they show. I’m not saying to go overboard and become giddy. I’m talking about the ability to simply portray a relevant message. Successful people do what unsuccessful people are not willing to do. Successful people live out of their comfort zone. Successful people play where the opportunity is. Some of the wealthiest people in our industry stay intelligently ignorant. What I mean by that is they don’t get caught up in all the latest sales technique fads and concepts that are constantly being lobbed at them. Focus on your music, the rest will come. Steve McAuliffe, MIRM, CSP, is Vice-President of Sales and Marketing for JMC Communities in St. Petersburg, Florida. 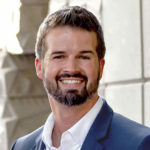 He is past-president of the Contractors and Builders Association of Pinellas County, life director of the Tampa Bay Builders Association, director of both NAHB and FHBA, and licensed Florida Real Estate Broker (president of JMC Realty, Inc.). Steve served on both the IRM and NSMC Board of Trustees and served as chair of the MIRM Designation Promotion Committee for two years. A past SMC chair for FHBA and CBA, he has received NSMC Silver Marketing Director of the Year and MAME recognition over the years along with the John P. Hall Award at the 2003 SEBC.